Lucknow, the capital of Uttar Pradesh, is a politically charged city in general. During elections, it becomes even more charged because of its high-profile candidates. Lucknow has a long history of sending political heavyweights to Parliament. 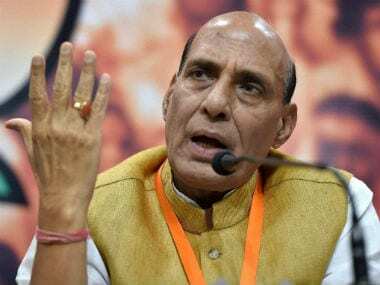 It has been represented by former prime minister Atal Bihari Vajpayee for five times and its current representative in Lok Sabha is Home Minister Rajnath Singh, who has earlier also served as chief minister of Uttar Pradesh, apart from holding the post of Bharatiya Janata Party (BJP) president in past. When the incumbent is a political heavyweight like Singh, it is expected that other political parties would field candidates that can pose some challenge. But it seems Opposition has already ceded ground. At least the choice of candidate hints at this conclusion. 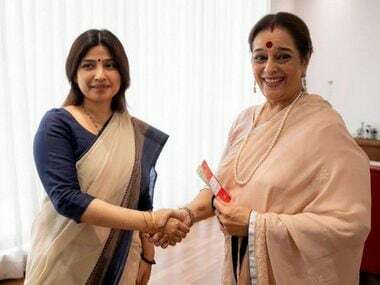 Samajwadi Party (SP), which entered in an alliance with Bahujan Samaj Party (BSP) for the Lok Sabha elections in Uttar Pradesh, has decided to field Poonam Sinha, wife of actor-politician Shatrughan Sinha. Shatrughan recently joined Congress after quitting the BJP, a party with which he had a three-decade-long association. Following Poonam's nomination, it is quite obvious that Shatrughan will campaign for his wife and will seek votes for her, by pitting her credentials against the BJP candidate. Being a Congress member, he is not expected to seek vote for his wife against the Congress candidate. 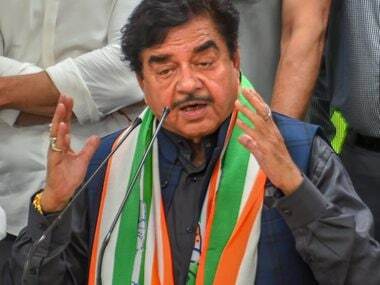 However, many in BJP believe it will not be an easy task for Shatrughan to campaign against Singh as it was on the behest of Singh that Shatrughan was given the BJP ticket from Patna Sahib in 2014 elections. According to a report in The Indian Express during 2014 elections, BJP’s Bihar leadership had opposed Sinha’s candidacy as they felt that local factors were not in his favour. “But Rajnath Singh backed Sinha’s candidature in the party’s central election committee and ensured that Sinha was repeated in Patna Sahib," The Indian Express report quoted an anonymous source as saying. But then, because there are no permanent friends and foes in politics, Poonam agreed to contest against Singh in Lucknow. While SP might be relying on the significant number of Kayastha votes, past experience has shown that the Kayastha community has voted for Singh and BJP. SP will also try to reap in the popularity of Shatrughan Sinha and the attached glamour quotient. However, the roadshow of Rajnath Singh that was organised on Tuesday before he filed his nomination paper witnessed huge crowd, clearly hints at his “mass appeal” and is considered even bigger than Shatrughan's “star appeal”. Rajnath has a huge share of his own loyal voters who shall vote for him, irrespective of the caste affinities. 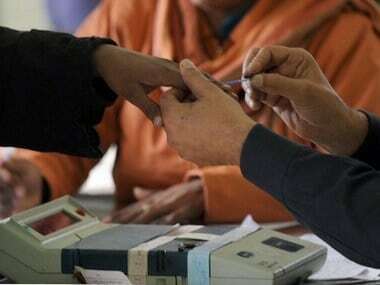 In 2014, all the three major political parties in the state — Congress, BSP, and SP — fielded Brahmin candidates (Rita Bahuguna Joshi, Nakul Dubey and Abhishek Mishra respectively) to consolidate and attract Brahmin votes. In spite of that, Singh got around 55 percent of total votes polled and won by a huge margin. On the other hand, Poonam Sinha is considered as a “rank outsider” with no political experience and support base in Lucknow. The Congress choice of candidate is even more interesting. Congress has decided to field Acharya Pramod Krishnam. Krishnam is a ‘spiritual guru’ and had earlier contested Lok Sabha elections from Sambhal district of Uttar Pradesh in 2014 on the Congress ticket. He lost his deposit. The winning BJP candidate Satyapal Singh Saini got 3,60,000 votes. Krishnam got only 16,034 votes, just 1.52 percent of the total votes polled. He stood fifth, even when he was not in contest with any political heavyweight. In this context, it does not require much arithmetical analysis to ascertain his winning chances, when pitted against a political leader like Singh. Krishnam — who is self-styled ‘spiritual guru’ and runs an ashram in Sambhal which was also his home district in his 2014 election affidavit — had declared his profession as agriculture. He was in news in 2015 when he compared Prime Minister Narendra Modi to the Indian Mujahideen and blamed him for "growing intolerance" in the country. In 2016, he was again in the news when he faced ire of some Hindu groups. Given the political credentials of the candidates of both SP and Congress, especially when juxtaposed against the incumbent MP, the adventure of a ‘tough fight’ is the last thing to expect. Instead, what will be interesting to see is how Shatrughan will campaign against Singh, his one-time party senior and his savior in 2014 Lok Sabha elections. In Lucknow — that goes to polls on 6 May, it will be the campaigning, not the contest, that will be closely watched.